The fiercest force to be reckoned with on planet Earth. The most awe-inspiring, jaw-dropping, and beautiful-yet-terrifying phenomena are a product of Mother Nature and the weather patterns it throws at us. From towering tornados, hurtling hurricanes, to tantalizing thunderstorms, the weather is full of surprises and might. Some people avoid bad weather. Others run towards it, seeking thrills, capturing photographs of the weather in all of its might, or wanting to observe the immense power of nature. We’ve made a list of 44 amazing and talented storm chasers and weather geeks. These guys and gals are brilliant, daring individuals and companies who share their love of the weather with the rest of us. Storm Highway is a personal project of Dan Robinson. This popular storm chasing website, offering readers and opportunity to view professional photography and footage of the most extreme weather from open roads. If you are looking to learn a bit more about the storm chasing industry, Dan shares some impressive imagery and footage. Sky Diary is a personal blog creation from Chris Kridler, an award winning writer, photographer, and storm chaser. This blog features impressive video coverage and images of Chris’ latest journeys, some of which have been featured in prominent magazines. Whether you are interested or seeking the thrill of storm chasing or simply stopping by for a visit, Chris Kridler can help. AccuWeather is one of the most prominent sources of weather information and forecast, serving well over 2 billion people. AccuWeather. Their blog features over 10 different genre’s, including Jesse Ferrell’s, WeatherMatrix blog. Here, you will find access to information detailing the most extreme weather in the world, alongside imagery and footage. If you are looking to learn some valuable information on storm chasing, or see what’s happening with Mother Nature around the world, AccuWeather can help. Are you seeking for the thrill of chasing a local tornado? This is where Storm Chasing Adventures comes into the picture. For over 20 years, this company has lead the market for high-quality tours in North America. On their website, you will learn a wealth about booking an adventure tour, how to make a reservation, and can even find some testimonials, in case you are still questioning it. Have you ever dreamed of getting up and close with a powerful thunderstorm or even catch glimpses of a tornado? Well, Severe Studios was the first company in the country that brought the general public into close proximity of Mother Nature’s powers. On Severe Studios, you will find a wealth of information on weather news, the best storm and tornado videos, and even live stream footage of what’s happening in the severe weather world. Be sure to look at the top of the page, where you can find your favorite type of weather videos. Severe Studios provides viewers with the opportunity to stream directly from their laptop, or their phone! Do you get excited watching people in movies or in television shows chase storms? The Tempest Tours company is dedicated to making that entertainment experience a reality. With over 200 years’ combined experience chasing the most extreme storms, the Tempest Tours company presents the general public with all the information they need regarding booking a tour, alongside high-quality imagery. In their blog, the team answers many questions that the general public asks regarding storm chasing and shares their many up-close moments with Mother Nature. What happens when you mix a wedding with a thunderstorm? You get popular photographer, Michael Oblinkski. 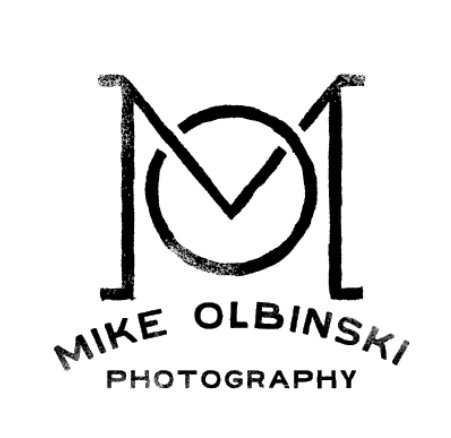 Mike Oblinski’s website is a testament to the dedication of his photography, which happens to include some of the most intense storm chasing imagery on the internet. His blog is designed to portray is excellence in the art of taking pictures, while at the same time, expressing the beauty of Mother Nature. Here you will find professional images, stories about each storm, and in some posts, how you can get involved or up and close with a storm too. Tornado Hunters is a popular TV series found on Netflix made up of a team of 3 guys and their trusty storm chasing truck(the truck is really important – it’s their main safety gear!). With over 25 years of combined storm chasing experience, these guys are the best of the best when it comes to capturing storms on camera. They also hold workshops to help get people into storm chasing safely and how to properly photograph them. There is no other feeling that capturing the wrath of Mother Nature. If you want to learn about how to get up close and personal with some of the most extreme weather patterns, Tornado Titans is here to help. Their goal is capture the most Mother Nature, in her most violent forms. Their intention behind this, which can be seen through-out their posts, is to raise the awareness of the dangers of weather, and how to prepare. However, we all know that the thrill of storming chasing can be enthralling. Tornado Titans has something known as Titan U, where you can learn everything about weather, storms, and storm chasing. Everyone is looking for the next best event or tour for a birthday party, right? Well, how about storm chasing tours? 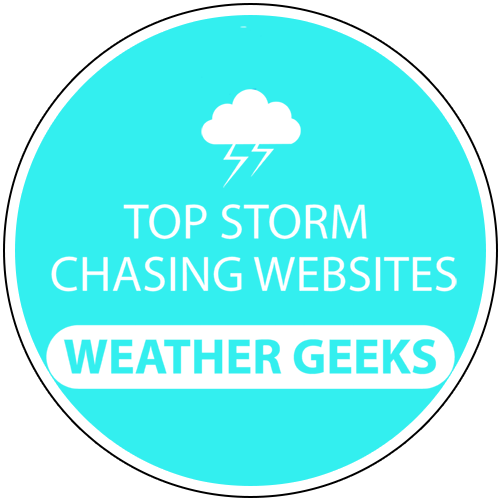 If you are looking to stay up to date with the thrill of storm chasing, StormChasingUSA’s blog is the best place to go. Here, you will learn a wealth of information and have access to professional reviews regarding storm chasing tours so you can pick the best one. Check Out Storm Chasing USA! When it comes to chasing storms, there are not many professionals in the industry like Warren Faidley, host of Storm Chaser. With over 1,400 storms documented, you can find a well of information regarding Warren’s trade. On this website, you will find access to Faidley’s Survival Guide Book, find information regarding his upcoming lectures or tradeshows, access to professional photography and imagery, and even stories regarding Tornado adventures. Extreme Chase Tours is a company that provides the general public with a personalized opportunity to learn more about extreme weather storms and the ability to get up close and personal. Extreme Chase Tours approaches storm chasing quite different for the general public. On their tours, you will learn all about severe weather, past weather storms, how to understand or gauge the weather, and a lot of information on safety. All of this information can be found on their website, alongside tour schedules, images, footage, and testimonials, should you need a little convincing. Check Out Extreme Chase Tours! ZoomRadar is a popular company that founded it’s fame based off their innovative radar. As the company touts, many weather companies and website utilize Zoom Radar to forecast the weather. On their website, readers will find ample information regarding current weather, alongside, what the company claims, “the most popular storm chasing platform in the world”. ZoomRadar Storm Chasing allows viewers to stream extreme weather, without having to get up and close to it. For a nominal fee, users can unlock access to some of Mother Nature’s most powerful storms. Illinois Storm Chasers is the perfect website for locals that are looking to keep track of Mother Nature. On their website, readers can find set-up customized weather alerts, preview threat weather maps, learn the most recent forces, and find access to some resourceful information, like storm chasing. On the website and on the blog, the company provides readers will up-to-date news and stories regarding Mother Nature in Illinois, from recent snow systems to even the Super Blue Blood Moon. Check Out Illinois Storm Chasers! 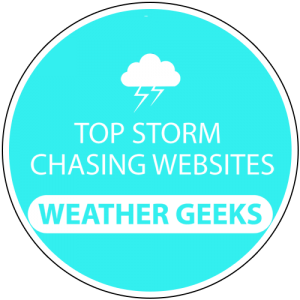 If you are looking for a dedicated website to storm chasing, the NZP Chasers is place to go. The Near Zero Probability Chasers, or NZP Chasers, is a storming chasing website founded by Francis Lavigne-Theriault who has the passion and dedication to showcase Mother Nature at her worst, and best. The Near Zero Probability Chasers blog features new stories, latest adventures, and informational blog posts that all-weather watchers may be asking. From photography, footage, to storm-chasing related blog content, there is something for everyone. Be sure to check on the photography section and online storm for some cool products and images! If you are looking for some stellar storm chasing videos, stock footage of extreme weather, or simply to keep up with the storm chasing industry and news, Storm Chasing Video is the place to go. Currently, the team at Storm Chasing Video is redesigning and developing their current website; however, readers can find access to many of their high-quality images and videos surrounding their journeys. While not all pictures or videos showcase extreme weather, they do highlight the beauty of Mother Nature herself. Check Out Storm Chasing Video! As time progressives, more and more people are having the urge to get up close and personal with Mother Nature in her most extreme state. With Cloud 9 tours, the general public can do this and more. Their website is filled with valuable information regarding storm chasing, including images, videos, testimonials, and how you can sign-up for a tour too. Don’t forget to check out their social media and see their latest snap shots and videos! Check Out Cloud 9 Tours! Storm Hunter is a personal project of Mark Robinson, who is a severe weather expert. Robinson is from Toronto, Canada and focuses on utilizing is expertise in weather, education, and storm chasing through-out his entire website. You will find presentations on severe weather, information regarding severe weather for the media, education, and film makers, and even a plethora of video and images. The Storm Hunter Blog is a great place to learn from an expert, from each major weather storm, to the history of Mother Nature. If you are fascinated by Mother Nature and the concept of Tornados, U.S. Tornados is for you! Out of the many tornado websites on the internet today, there are not many out there that provide as much value to you readers like U.S. Tornados. On this website, readers will find information surrounding Tornado Tracking, understanding forecasting, and a wealth of videos, images and stories about Tornados happening around the country today, years ago, and potentially in the future. Jason Weingart is a professional photographer, adventurer, and storm chaser. Coined as a weather nerd himself, Jason Weingart’s website provides readership with the opportunity to catch still images and even video footage of his storm chasing journeys. This website also has a unique tutorial section to help interested hobbyist or professionals on photographing Mother Nature. Be sure to keep a look out for his live streams, which can be found on his website as well! Storm Bruiser is a project from William Taylor Reid, an avid storm chaser and photographer. William Taylor Reid created the website to provide his readers will a chance to learn about storm chasing, Mother Nature, and the climate. On this website, you will find an ample amount of videos, images, and high-quality blog posts or articles about storm chasing. Be sure to check out the Categories section of the website as it’s broken down by themes, making it easier for readers to find exactly what they want, from Tornados, Unusual Clouds, to even Fires. Chris Frailey is a passionate and professional photographer, helping locals in Phoenix, Arizona, capture delicate moments of life and capturing Mother Nature’s wraith. On this website, you will find a lot of information regarding his professional photography and services, which include weddings, studio photographs, and even fitness. In his Landsacpe blog, you will find some of the best images of Mother Nature you might have ever seen. Be sure to look out for his Super Cell imagery! Chicago Weather Center is a part of WGN9, one of Chicago’s most popular new stations. The Chicago Weather Center website is loaded with some great information ranging from weather updates to informational blog posts all about severe weather, storm chasing, and even images or footage. We highly suggest taking the time to browse through the severe weather and storm chasing categories. There is no better place to catch what’s happening with Mother Nature than on Chicago Weather Center’s website. Check Out Chicago Weather Center! Have you always dreamed of going on a Tornadic Expedition? Well, with Tornadic Expedition, not only can you get up and close with Mother Nature, you can also learn a wealth of information regarding Tornados that you never knew before. On their website, the team shares valuable content all about Tornados, include the truth, the myths, the lies, and how to properly and safely chase a tornado. Be sure to check out the video section on their website and their 2018 Tour Schedule. You might just be motivated to book a tour! Weather Defender is known as a commercial grade weather tracking system, empowering people to understand what’s happening with Mother Nature. While the company is selling a weather tracking system, their website is designed to provide readers with valuable information surrounding weather, climate, and even storm chasing. If you are looking at becoming a hobbyist or professional weather tracker or storm chaser, Weather Defender might just help out! Silver Lining Tours is a company website owned by Roger Hill and his wife, Caryn Hill. Do you want to know a fun fact? Roger Hill is recognized by the Guinness Book of World Records to have seen the most Tornado’s out of any other human in the history of mankind. What does that mean for you? You can guarantee that the information presented on Silver Lining Tours website and on their tours, is accurate and straight from a world-renown expert. Check out their tour experiences, learn about the type storms Mother Nature can produce, and even join their storm chasing journeys by streaming live! Don’t forget to stop by their shop! Check Out Silver Lining Tours! Extreme Tornado Tours is a storm chasing company, providing the general public with the chance to spot tornados and violent storms. This tour company was founded and created by Dr. Reed Timmer, whom which is on the television series, “Storm Chasers”. With over 9 years’ in the industry and the best team out there, Extreme Tornado Tours is passionate about making your experience special, we can be seen through-out their entire website. Learn more about storm chasing, booking a tour, and even join the team as they chase storms from their website live stream. Check Out Extreme Tornado Tours! Storm Chasing Tours is a popular storm chasing tour company out of Kansas, giving locals and opportunity to travel and tour with one of the best guides in the industry, Brandon Ivey. Ivey has been featured on some of the most prominent storm chasing shows/movies, including “Storm Chasers” and “Tornado Alley”. Their website is filled with valuable information regarding storm chasing, booking a tour, stellar and mind-blowing images and videos, and insights about upcoming tours. Check Out Storm Chasing Tour! If you are looking for a great storm chasing experience in the tornado alley, there is no better company that Storm Tours. The moment you visit their website for the first time, you must stop by the Gallery and look at all the stunning and impressive professional photography this company has. Be sure to also check out the Information Section, which has a ton of great content, including information on different storms, how to pick a tour, understanding the truths of tornados, and much more. Are you curious to learn how weather specialists can predict severe weather and tornados? Have you ever wished to get close enough to a storm while understanding the complexity of Mother Nature herself? Weather Adventures provides this opportunity and much more. The Weather Adventures’ website is dedicated towards motivating readers to sign-up for their tours. You will find information regarding what you can anticipate on a tour, how to book a tour, and even catch a few professional images from their tours. What a better way to enjoy Mother Nature than to look at it like a Safari? Join F5! Tornado Chasing Safaris and get up close with the most extreme weather conditions in the world. The F5! Tornado Chasing Safaris’ website is loaded with professional photograph from their storm chasing journeys and even features a Weather Store. Our favorite part of this website is the detailed layout that the company provides about the creation and dissipation of tornado. With a couple of incredible footage videos, you might be interested to look at the Tour Schedule after! Check Out F5 Tornado Safaris! Twisted Sky Tours website is dedicated to providing the general public with a new way to experience a thrill on a vacation. With Twisted Sky Tours, families can get up close with the most intense storms, including extreme tornados. So, if you have ever dreamed of seeing one in person, check out Twisted Sky Tours website, You will find information all about planning your “Twisted” adventure, videos of intense tornados and Super Cells, and beautiful images of Mother Nature in her prime. Before you are quick to book a tour, be sure to check out the available discounts section! Check Out Twisted Sky Tours! Marko Korosec is a professional weather photographer, capturing beautiful nature landscapes and the most extreme weather in the world. On his website, you will find a plethora of professional photograph journaling his adventures around the world. After catching a few glimpses of his pictures on his website, you might just be motivated to see how he does it. On Marko’s website, he shares the secrets of storm chasing photography and even has a storm chasing tour in 2018 for interest hobbyists or professionals. If you are looking to experience a thrill like never before, Storm Chasing Trips has something in store for you. This company provides locals with an opportunity to learn from the weather experts about severe weather and Mother Nature’s rage. For those that are new to storm chasing, Storm Chasing Trips has a lot of information on their website covering the basics of storm chasing and severe weather. They also have some great images and footage that are worth checking out. Check Out Storm Chasing Trips! Did you know that there is a convention for professional storm chasers where they gather to discuss the latest in storm chasing? Chaser Con is the National Storm Chaser Convention where all of the best storm chasers in the world attend, including the best tour providers, photographers, and weather experts. The Chaser Con website features and includes the best in the industry, should you be interested. If you thought the United States of America had some crazy extreme weather and storms, you have not seen any footage or photographs from Australia yet. Storm Chasing Tours is a proud and popular provider of storm chasing tours, giving locals and chance to see what Mother Nature has in store. This company’s website is loaded with some of the most valuable information in the industry, including a comprehensive blog, informational DVDs, videos, and professional photography. Be sure to check out their Blogroll on their website! Check Out Thunder Bolt Tours! If you are looking to learn about Mother Nature and her capacity, Storm Weather is a great website for you. Here, you will find a ton of information regarding severe and extreme storms, including case studies, which typically feature great photographs or videos, and informational tips on what to do in severe weather. Our favorite part about Storm Weather is their comprehensive Blog Roll, which features some great information on Hailstorms and extreme storms. Storm Chasing History, or Storm Chasing Anthology is a website dedicated to the creation of a popular documentary in the weather industry, The Storm Chasing Anthology. The website served as a media and communication platform regarding this venture. The website features a wealth of information regarding the project, and it even features the full-length, 67-minute documentary. Readers can enjoy the full documentary on the website and learn all about the history of storm chasing in high definition. It’s most certainly worth it for a hobbyist or professional! 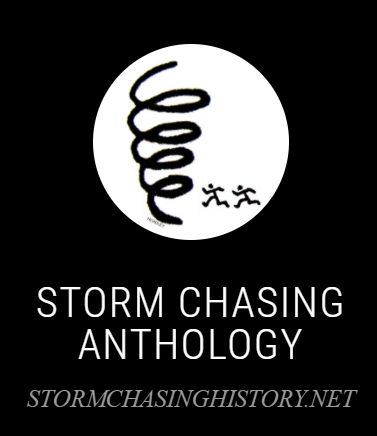 Check Out Storm Chasing History! Known as “The Most Entertaining Weather Podcast”, Storm Front Freaks is the home to a popular podcast of professional and amateur storm chasers. 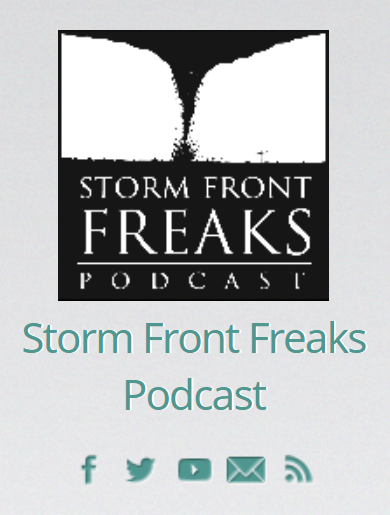 If you are looking to stay up-to-date with the latest in the storm chasing industry, including tips, tricks, technology, and more, the Storm Front Freaks podcast is perfect for you. The website features some information regarding the podcast, where to catch it, and some valuable resources for storm chasers. Be sure to check out their unique merchandise section! Check Out Storm Front Freaks! 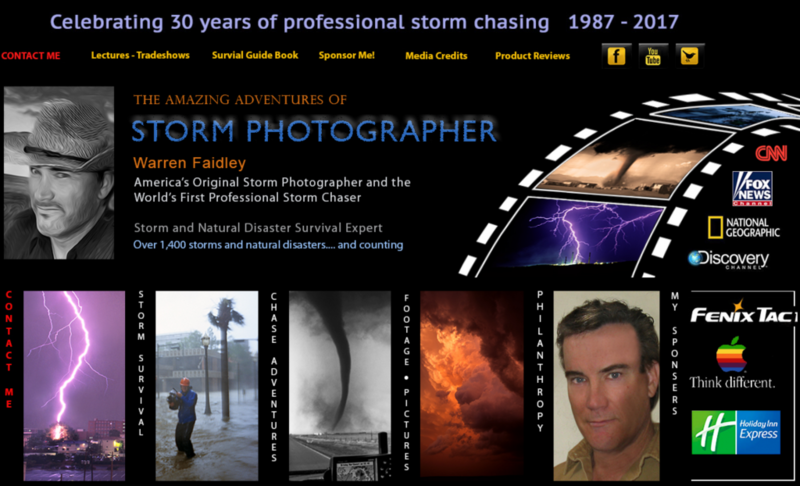 The Perks of Chasing is a collection of a popular storm chaser’s journeys, Jeff Wear. in 2005, Jeff Wear passed away in a car-accident in the middle of a heavy rain storm. Today, the website serves as a testament to his passions and dedication. Readers will find some fascinating weather stories, weather chasing humor, impressive videos of Mother Nature’s rage, and even detail accounts of storm chasing events. The website is still in tact today and features a merchandise store, with DVDs and VHS highlights for those who are interested in the footage found on the website. Check Out The Perks of Chasing! In the weather photography and landscape photography industry, there are not many professionals that can compete or rival with David Mayhew. In fact, in the storm chasing industry, Mayhew is known as one of the best photographs. On his website, you will find extensive galleries featuring Mayhew’s best work, all of which is completely mind-blowing. You can also purchase his book, which is a image book featuring his storm chasing journeys. We highly suggest taking the time to visit David Mayhew’s blog as well, where there is some great information about learning how to photograph special weather moments, like a solar eclipse. Check Out David Mayhew Photography! Iowa Storm Chasing Network is a weather team dedicated to providing the latest updates and information on weather in the state of Iowa. The website was formed by passionate storm chasers who wanted to provide locals accurate information and graphical depictions of the weather, and alert locals in life-threatening situations. The website is loaded with forecasting information and features a live stream feature, should you want to stay up to date with Iowa Storm Chasing Network. The Indiana Chaser Con is a convention that was established to bring storm chasers from around the United States of America together to discuss the latest innovations in storm chasing, while also sharing footage, images, and stories. The Indiana Chaser Con website features information regarding previous conventions, and the upcoming 2018 INChaser Con. If you are an avid storm chaser, or want to become more involved in the storm chasing community, this is a great opportunity to do so. Some well known storm chasing companies and weather stations will be in attendance. Check Out Indiana Chaser Con! What happens when you mix together a jazz musician, an author, editor, and a storm chaser? You get StormHorn.com! Storm Horn is a personal project of Bob Hartig, who is a passionate saxophonist and weather chaser. On his website, readers will find some great information on storm chasing, including weather maps and forecasting, radar and satellites, and even educational resources and research. The website services as a portfolio of Bob Hartig’s work, which does include his musical career and writing. We highly suggest taking the time to explore Bob’s photograph work with storms – they are stunning! Texas Storm Chasers is one of the largest storm chasing companies and websites in the state of Texas, and the United States of America. Today, Texas Storm Chasers touts over 562,000 followers on Facebook, bridging the gap between severe weather information and professional storm chasing journeys. The website is a testament to this, offering readers both up-to-date weather information, including an interactive radar and weather forecasts, and storm chasing information, including how to become a storm spotter. Be sure to heck out their recent posts feature, which is updated on a daily basis. Check Out Texas Storm Chasers!